I explored my pre-visit thoughts in a blog here and captured my immediate post-visit reflections in a poem called Together published here. Now, nearly two months since my return, I want to reflect more deeply on what I learned. It was a momentous trip both personally and professionally. It was a special time to reflect on my own practice and think about the future. Japan offered a calm and quiet space to do this, in fact apart from the sensory overload of the Shibuya crossing, many places I visited, including busy conference halls, generally had a quiet focus. The trip was a brilliantly packed schedule from small group meetings with individual artists, producers and funders from across art forms, to two public forum events about Arts and Ageing (one in Tokyo and one in Kyoto). The UK delegation was an interdisciplinary group including Abid Hussain (Director of Diversity at Arts Council England), Catherine Cassidy (Director of Engagement at Scottish Ballet), Jane Findlay (Head of Learning at Dulwich Picture Gallery) and Julian West (Head of Open Academy at the Royal Academy of Music). Miles apart but similar approaches..
Of course, there were many ways that the Japanese culture and society felt different to my own experiences, but I guess I was also struck by the similarities. I was already aware of the work of the late Yukio Ninagawa at the Saitama Arts Theater including the establishment of the Gold Theater, an imaginative theatre project for older people aged 55+. However, I learned that this year the Saitama Theater are hosting the World Gold Theatre Festival and will be joined by the Sadler’s Wells Company of Elders as well as David Slater from Entelechy Arts who will create a new version of the work BED. The power of a Festival to bring artists together and provide a platform for good practice, ideas and imagination to be showcased is a dynamic way to celebrate artists and art. Last year was the first Age of Creativity Festival in England following similar models to Bealtaine in Ireland, Luminate in Scotland and Gwanwyn in Wales. I was thrilled to learn about the work of Kyoto Art Theater, part of Kyoto University of Art and Design. A play they had made with director Kunio Sugihara and a group of elders was devised with the older performers using objects as a starting point. Older people had been asked to bring an object that summed them up. This felt very connected with the work I had just made with our own Elders Company called MOMENTS THAT CHANGED OUR WORLD that used objects as a starting point and encouraged older people to be themselves on stage. Ryo Ide who we met from The Kyoto Art Theater described similar outcomes to our own work with the older people feeling more culturally connected and hungry to learn more about theatre as an artform, as well as the known health and well-being benefits of taking part in theatre-based activity. Ryo Ide also described benefits to their organisations’ audience development, as people who might not usually come to their space were coming to see friends and family in the show. Both these examples (Saitama Gold Theatre and the Kyoto Art Theater), placed the desire to strive for artistic excellence at the centre of what they do. This is very much a shared value and more and more I feel driven to create work with older people that is not only artistically excellent but is also unique exactly because of the perspective older artists and makers bring to the performance, whether that be through their presence in the space or the content they are creating. It feels like momentum is building to celebrate the work of older artists and also ageing in general. I was heartened when at the Tokyo Public Forum, the Chief Researcher at NLI Research Institute, Nobuhiro Maeda talked about the need to shift our energy and thinking around ageing away from one that is negative and associated with loss and withdrawal and start instead to see the opportunities that also come with ageing. Professor Nahoko Kusaka from the Doshisha Women’s College of Liberal Arts talked about the fact that often we ‘forget the joy of ageing.’ This simple phrase suddenly flipped my thinking around ageing and I was reminded of the moment back home in our post-show discussion (following MOMENTS THAT CHANGED THE WORLD) when one of the performers, Brenda, advised an audience member: “you have so much to look forward to.” This simple message took away some of my own (often unconscious) fear and stigma attached to ageing. This all adds up to a different narrative about ageing, which I have written about before, one that reinvents what ‘old’ means so that we might to start to shift the deep-rooted feelings at large in society that to be old = a bad thing / to be avoided / to be denied / to be reversed. We are all ageing, let’s be ok with that and let’s find ways to get more creative with age and not less. In his research, Nobuhiro Maeda stressed the ways age-related policy should support people to age in the way that they want and that enables them to stay healthy, remain active and stay connected to their families and communities. As people reach the later stages of life, they might be facing particular health challenges and policy makers should provide them with reassurance and security to meet those challenges. The arts and creativity have a role to play in meeting the challenges of ageing. Many projects both in Japan and the UK have built into them ‘social space’. This ‘social space’ may or may not have developed as a formal part of the arts-based programme but it is hugely beneficial to older people. Mika Sugiyama from the Tokyo Institute of Gerontology described café spaces where specialists are available, not to prescribe medicine but rather to listen and talk and connect communities up. Similarly, a social café is part of the Scottish Ballet Dance for Parkinson and Dance for Alzhiemer’s programmes.  The Elders at the Royal Exchange often feedback to us about the importance of a space to be connected-up with others of all different ages and the power of feeling valued within an arts organisation. Theatre is about developing empathy and making sense of ourselves. Empathy is a process that begins with a greater understanding of our own emotions. If we practice and develop our emotional intelligence on a regular basis, we are more prepared in difficult times, we develop resilience and strategies that could uniquely support older people as they face the challenges of ageing. a new festival profiling artists aged 65 years and over, who are established in their practise and recognised nationally or internationally for their work. (B)old celebrates great artists who stand the test of time, and doesn't shy away from the issues facing them. In industries that often celebrate and cater to the young, when are you truly 'in your prime'? What impact has age had on your artistic practice, and how do you stay relevant? This feels exciting. It feels like the festival is part of a larger movement that seeks to shed more light onto older artists and makers. At the Kyoto Arts Centre we met Mike, a 77-year-old who had discovered dance at a later stage in life through the Kyoto Dance Exchange. He went on to join another dance project set up by a fellow emerging dancer. I think arts organisations in the UK can do more to not only champion the older established artist but also think about how they support and develop older emerging artist too. In 2020, Tokyo will host the Olympics and the power of the big events like the Olympics to shine light on invisible parts of society is potent. London 2012 is being looked to as exemplar in cultural engagement and also as a model that spread the programme beyond the host city and around the country. I suspect that arts and ageing will have a role to play in Tokyo’s cultural Olympiad. I have been challenged to think more about what skills artists and practitioners might need to specifically develop, in order to lead artistic work with older people. I’m still thinking on this. People are people and in lots of ways, when leading an artistic process, we should see a group of people before us, rather than age. However, from my own experience, the nuances of body language, tone and style are different when working with adults to children and perhaps different again when working with older adults. I also think artists need time and space to confront their own ageing process (and unconscious ageism) as part of their process. There are also challenges around managing bereavement and loss as an individual and with the group. Many training programmes prepare artists to work with children and young people and maybe there is scope for more research into artists working with older adults. I think as a sector, the power and value of professional networking has a role to play in helping us learn, advocate and champion arts-based work with older people and recently, I was involved in the setting up of an Elders Companies Network for artists and organisations leading theatre-based projects with older people. In February, together with colleagues from West Yorkshire Playhouse we held a launch event at the Royal Exchange attended by 20 organisations from across England and Wales and we plan to re-group in September at the New Vic in Stoke. Finally, we all have a vested interest in this question of arts and ageing: we are all ageing. It seems obvious to say, but: I am ageing. I know I am at my best when I’m making, expressing, collaborating and connecting. These are things that art and theatre is uniquely placed to deliver and so I know I want to remain artistically connected into my old age and for the rest of my life. These thoughts lead me to one further question: what can we all do to make the conditions right for creativity to flourish in later life?